Tech and water usually don’t mix. But if you’re heading to the beach or pool this summer, there’s no need to unplug completely. 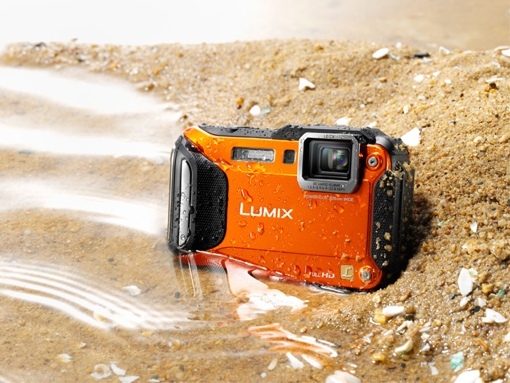 From the Samsung Galaxy S5 smartphone to the Panasonic Lumix camera (below), there have never been so many great waterproof tech options to help you capture great photos, blast tunes, and even help protect your skin from sun damage. Here are Techlicious’s favorite summertime tech picks for an active day of fun. If your idea of a fun day at the beach involves taking it easy, reading an e-book or two and playing a couple rounds of Angry Birds, then the Sony Xperia Z2 tablet makes a great companion. The ultraslim 10.1” tab is high-powered – it’s got a 2.3GHz quad-core processor, 3GB of RAM and an 8MP rear camera for photos. It’s waterproof and dustproof too (IP55/58), so it can take a few minor splashes without becoming an expensive, glossy brick. Sony.com is currently offering the 16GB Xperia Z2 for $499.99 with a free charging dock for a limited time. 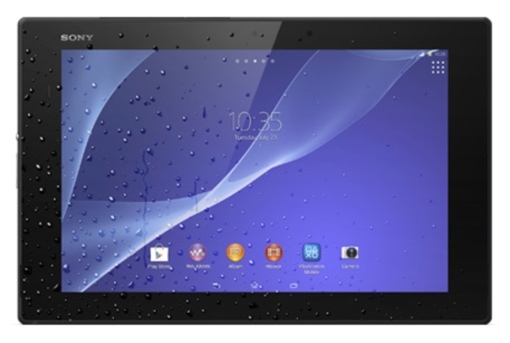 A 32GB version of the tablet is available for $599.99. We all love the summer sun, but too much of it can lead to burns, premature aging and – worst of all – skin cancer. 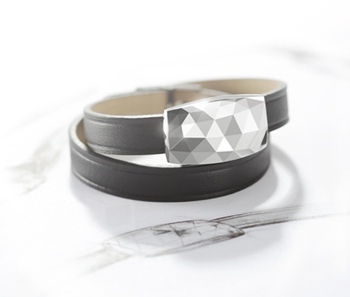 The wrist-worn Netatmo JUNE helps mitigate these risks by tracking your daily sun exposure, measuring the intensity of the sun’s UV rays and providing smartphone reminders when it’s time to re-apply sunscreen or put on sunglasses. You can bring it poolside too: The chic, French-inspired design is both splash- and water-resistant. The Bluetooth-powered Netatmo JUNE is available in three colors (platinum, gold and gunmetal) and includes a leather and premium silicon wristband, a USB charging cable and a storage pouch. You can get yours for $99.00 at Netatmo.com. And if you want a more waterproof (albeit less elegant) option for swimming in the pool, take a look at the $49 SunFriend UV Monitor. The beach is a great place for fun family photos, but a splash of salt water can ruin the sensitive electronics inside your expensive new camera. 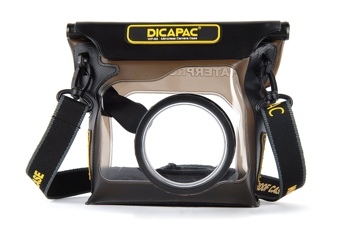 Consider protecting your device with a Dicapac waterproof case. Each keeps your camera safe from damage while still allowing you to take great pictures up to 16 feet underwater. The Dicapac WP-ONE protects point and shoot cameras for just $16.47, the WP-S3 ($69.95) keeps hybrid cameras safe and the WP-S10 ($61.50) protects compact digital cameras with larger lens attachments. Want even more camera protection? Check out the Chums Waterproof Camera Float. It’s a simple foam-filled wrist lanyard that attaches directly to your camera (up to 7 ounces), allowing it to float on top of the water rather than sink to the bottom of a pool or the ocean. The bright yellow color makes it easy to see in murky water. Best of all, a float won’t break the bank – you can pick one up on Amazon for just $7.60. While a camera case is a great option for protecting your current camera, for the best and sharpest pictures, you’ll a camera designed for underwater use like the Panasonic Lumix DMC-TS5. This tough 16.1MP camera is waterproof to 43 feet (IPX8), shockproof from 6.5 feet and pressure resistant to 220 pounds. Built-in GPS allows for the automatic tagging of photos with location names, and when it’s time to share your photos with friends, this Lumix has Wi-Fi and NFC built right in. The Panasonic Lumix DMC-TS5D is available for purchase at Amazon.com for $299.00. Want to listen to killer tunes out by pool? Check out the Fugoo Sport Speaker. It’s a portable Bluetooth speaker that’s waterproof (to 3 feet for 30 minutes), shockproof and impact-resistant enough to survive summer after summer of tough play. A powerful battery keeps the tunes going long after sundown – the Fugoo can go 40 hours (at 50% loudness) on a single charge, making it perfect for overnight camping and canoeing trips. The Fugoo Sport Speaker is available on Amazon.com for $199.99. If you’re thinking the speaker might take a lot of abuse, check out the even sturdier Fugoo Tough Speaker – it’ll costs you $30 more, but the fiber-reinforced resin and solid aluminum housing will offer added protection. Have your own waterproof favorite? Share it in the comments section below!